OKLAHOMA CITY (AP) — When voters booted a dozen Oklahoma Republican legislators from office in the primary, the common thinking was that educators angry about classroom funding were behind the ousters. A top GOP House leader actively participated in a plan to take down several hardline members of his own caucus, a move that went far beyond what former President Ronald Reagan once called the 11th Commandment: never to speak ill of a fellow Republican. 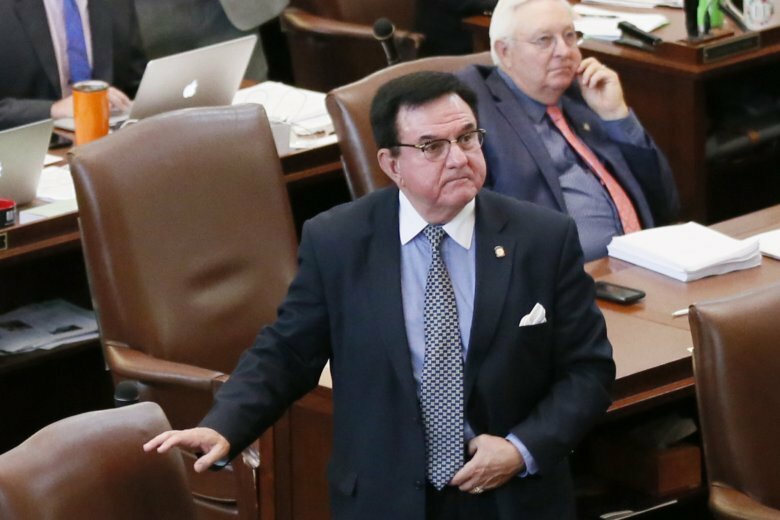 “They’ve gotten rid of us troublemakers who were holding the Republican principle line,” said Rep. George Faught, a 10-year Muskogee Republican targeted with a mailer that featured him with a long Pinocchio nose. In Oklahoma, Republicans have been steamrolling Democrats in elections for a decade, racking up super majorities in both legislative chambers and laying claim to the entire congressional delegation and every statewide elected office. As a result, much of the state’s political wrangling takes place within the GOP, evident earlier this year when hardline conservatives like Faught in the state House thwarted GOP leadership’s plan for tax hikes to help fund teacher pay increases. But the last straw came when some of the Republican hardliners called publicly for more conservative challengers to run for office, said Rep. Chris Kannady, a House floor leader and chairman of the powerful Judiciary Committee who acknowledged helping launch the attack on his own colleagues. West and Kannady both use the same Oklahoma-based consultant, Campaign Advocacy Management Professionals, LLC, that was used by the super PAC to produce mailers and other campaign attacks on GOP incumbents. Worthen said the hardliners who were targeted in GOP primaries made a lot of enemies by opposing efforts by business and political leaders to pass the tax hike to help fund teacher raises.